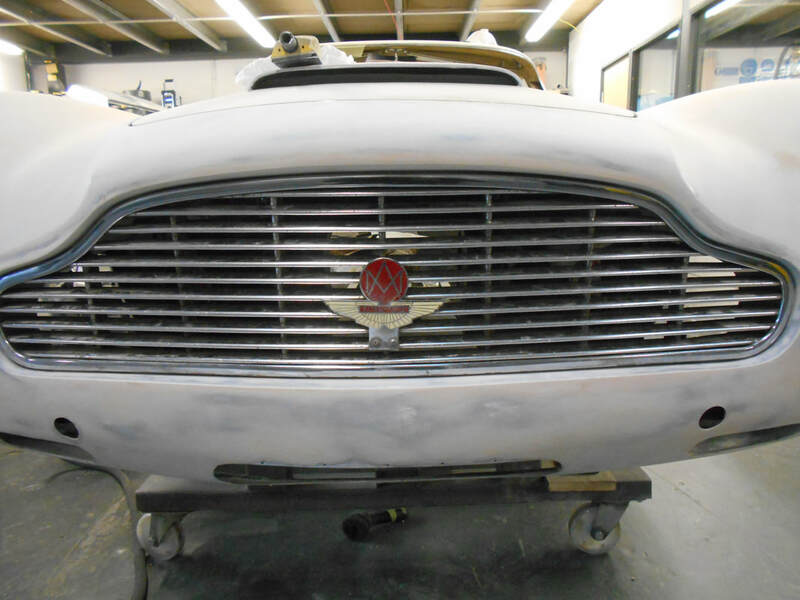 ​Prestige Paintworks can undertake a full or partial restoration of any vehicle. Whether it's a full nut and bolt restoration to Concours standard or a sympathetic conservation retaining patina and originality, we understand that when these cars were new they were built to an exact specification with a blend of the owners personal choices too but the new custodians of these cars may choose something different to how it left the factory and that's ok, we have the expertise to handle any size job to suit each clients personal request. We also carry out accident repairs on the Heritage models too including chassis straightening and alignment. Full inventories are given to all vehicles dis-assembled, with every detail and part being documented. There's a commonality in procedures across most of the restorations with one of them being all panel fit measurements, we log all panel fit, whether that's the actual gap size or it's transition into the adjoining panel, its all relevant information that needs logging before any dis-assembly begins. Once all the material is removed it often tells a different story, for us though it's the best part of the process, revealing its history, poor repairs, even old accident damage, the colour changes it's had through the years even. It's all part of the vehicle's history so needs logging and photographing. The biggest variable in cost is for the remedial work stage, corrosion and/or damage. This is the area where hours can be consumed with rectifying botched old repairs from periods of relatively low value and corrosion etc that simply cannot be seen until the car is stripped of all its fittings and material. ​There really is no set price for this stage, only transparency and communication with the owner as to what path is taken in terms of cost/safety/necessity/aesthetics. A full restoration normally requires chemical dipping or blasting the shell back to bare metal to have the best foundation to any restoration, any restoration that is not a bare metal one is always a risk because you can only guarantee your products on what they are being applied to. 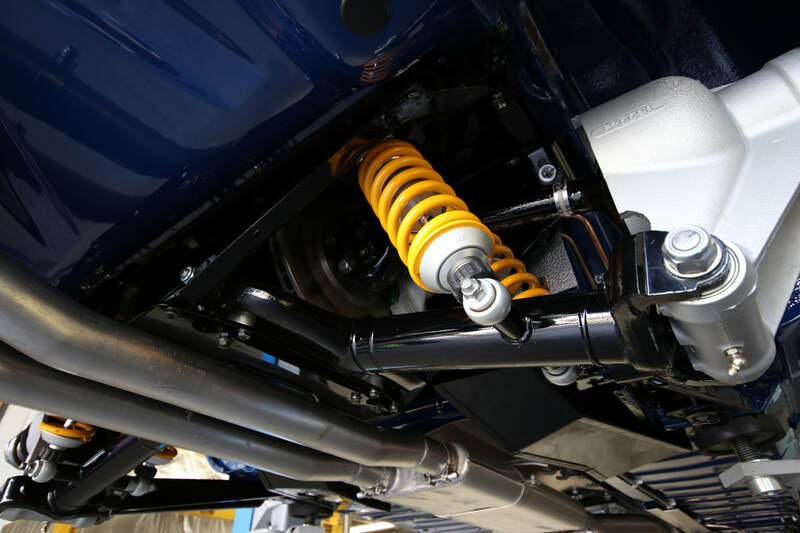 Any corrosion or previous damage is rectified and if necessary with the vehicle mounted on our Globaljig. 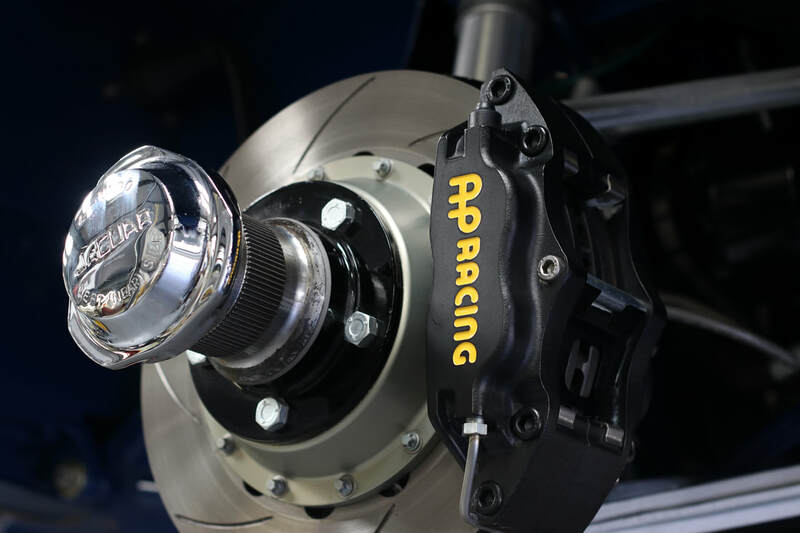 It ensures the car is kept square and true and that all suspension points etc are exactly where they should be, a necessity if you are replacing rear axle mounting points for example. Vehicles requiring extensive panel replacement are kept on the Globaljig for reference data etc as we are able to make the car far more symmetrical than they left the factory using the overhead beam attachment with numerical pointers that can give millimetre precision on any irregularities. All metal shaping, panel alignment bonnet, boot and door gaps are minimised in variation to a consistent 5mm. Lap welded joints can be lead loaded if the customer prefers too. After all the panel work and gapping is complete we do a complete dry fit of the lights, bumpers and trims etc to eliminate the chance of fouling or poor fit, this dry fit process is then repeated after levelling and again after the first round of polyester blocking to maintain consistency and efficiency, some companies don't go through with this dry fit procedure once but we carry this out three times regardless. Sure it takes time but considerably less than reworking things to fit once the car is painted. The vehicles are then levelled with a fine skim of body filler, a key stage often undervalued and more often than not misunderstood but is an essential key element in producing the correct result and will be used by all top end restorers striving for perfection. This stage leaves a flowing, flawless shape to the car and ultimately an unbroken reflection when painted and the difference between a good paint job and a great one. A key stage hugely detrimental to the end result if not applied but often avoided when lower budgets are imposed. Once the bodywork and levelling is completed it is then given four coats of polyester primer. ​This is then dry sanded before the car is then spray painted with the colour of choice and the bodywork flattened and polished to produce a flawless deep gloss shine. A complete nut and bolt zero compromise restoration will include all the suspension and drive train getting overhauled too, items that can be sandblasted are, they are then epoxy primed and refinished in a gloss or satin black two pack polyurethane topcoat, the customer can choose their preference. Our aim is to leave no stone unturned so that what we produce is the best it can possibly be which is of course dictated by budget. ​The vehicle is then refitted using new hardware, new plumbing and new/ refurbished components installed to complete the restoration process. Engine, Gearbox and transmission rebuilds for Aston Martin and Jaguars along with Chrome Plating and Upholstery work are outsourced to our carefully chosen marques specialist partners, whilst everything else mechanical is dealt with in house including all general routine maintenance, servicing and mot requirements. All the cars we build have Evans Waterless coolant used instead of regular anti-freeze as its a far superior alternative with far too many benefits to consider otherwise.